Renovations: The changes that make your house work for you may not appeal to potential buyers. Not everybody loves that bright blue paint color — no matter how much you personally adore it. Make sure any big changes you make will increase, rather than decrease, your home’s value. ALWAYS leave during open houses and showings: No hovering! Current homeowners hovering over potential buyers as they tour the house…it’s a lot of pressure and can prevent them from giving honest feedback that could ultimately help you sell your home. Waiting to list in the Spring: Most people house hunt in the spring and summer, but that’s also when most people list their homes. List yours when it’s available and you’ll reach those buyers who need a home now and aren’t finding much on the market. Setting the price too high: What your home is worth to you and what it’s worth on the current market can be vastly different. Take a good look at the comparables provided by your REALTOR® and follow their advice…we are the experts! Ignore Zillow…the Zestimates they offer are just WRONG! Not doing enough marketing: Just putting up a “for sale” sign isn’t enough. Talk with your REALTOR® about other options, like online listings with virtual tours to attract buyers who aren’t looking on Craigslist! Not getting a real estate agent: Unless you’ve had plenty of experience, going the “for sale by owner” route is probably not a smart bet. A REALTOR® can give you insights, marketing advice and, most importantly, can get your property on the multiple-listing service (or MLS or if you are in Indianapolis, BLC), which gets it in front of other agents. 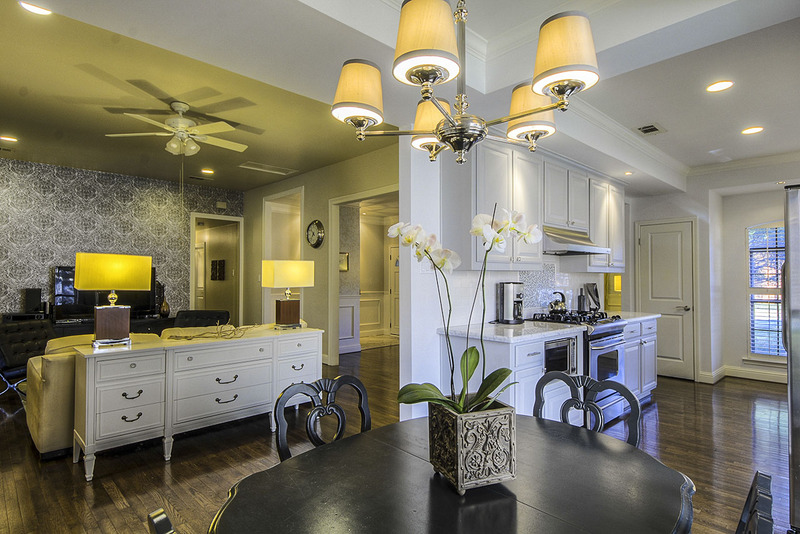 Not staging your house: You need to help buyers envision themselves in your home. This includes removing any clutter and overly personal items (like family photographs) and making sure furniture flows well and demonstrates the purpose of each room. Don’t go overboard, sometimes you can declutter and depersonalize to the point that the potential buyers can’t envision anything! Discuss with your REALTOR® and if they don’t have a good eye, bet they know a good stager! Okay, now are you ready? Call, text or email me and let’s get started! Think you are ready to buy a house? Buying a home is an emotional decision for most people, this is where you will likely spend the next 5 to 7 years of your life, more if you buy right and love the area. Do your research! Think about these things and when you are ready…CALL ME! Researching the neighborhood: Is this some place you really want to live? What amenities are nearby? How is the school district? What does the traffic and street activity look like when you drive by it at different times of day, like Sunday morning and Monday evening rush hour? Get an inspection: This is one of the biggest investments you’ll ever make, and you’ll be living with it for years to come. Don’t pinch pennies — shell out $400 for an inspection. Make sure you know exactly what you’re signing up for. Remember, you can paint! Don’t buy or not based on decor: Paint color can be changed. Tiles and cabinets can be changed. What you want to look at are the bones of the house. Will it meet your needs? Does it flow well? Does it have enough space? Don’t buy the most expensive home on the block: Hate to break it to you, but the most expensive home on the block isn’t a good deal. It will only depreciate over time, and you could have trouble selling it when buyers can see plenty of more reasonably priced options in the same neighborhood. Be realistic with your budget: There are 2 numbers to look at when you are buying a home, just because your lender says you qualify for a $250,000 mortgage, that doesn’t mean you can afford it, especially when you factor in the other costs that come with homeownership. Be real and only look at houses you can realistically afford. Be realistic about your DIY abilities: Will you really tear down that wall to make a master suite or gut the entire kitchen to make it work for you? Don’t let too much HGTV and delusions of grandeur drive you to buy an ongoing project you’ll regret taking on. 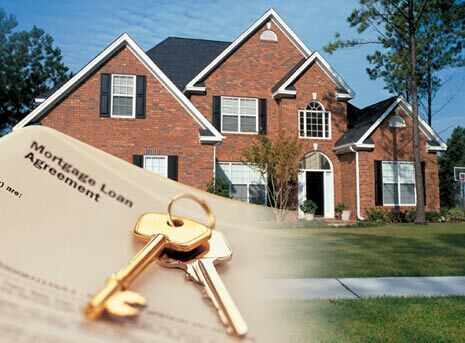 Have money for a down payment: FHA financing requires 3.5% down, Insured Conventional 5 or 10%, Conventional 20%. Anything less than 20% down and you’ll pay private mortgage insurance (aka PMI) payments and a higher monthly mortgage payment overall. It may be worth saving up for an extra year or two to reduce your long-term costs. VA and USDA are 100% down programs, but make certain that’s how you want to go. Make sure you are ready: Are you financially ready? Are you ready emotionally? Are you sure you want to stay in this area for years? Does your income feel stable? Are you prepared to take on all that yard work and the repairs you avoided as a renter? Think you are ready? Time to call in the experts and find a realtor! Call or text me at 317-919-7931 or email at vlrrealestate@gmail.com…I’m looking forward to hearing from you! Where did the summer go? As a Realtor, my business is so busy, especially during the summer months, I am surprised to realize it’s almost Labor Day and another summer has passed us by…and my friends will tell you it’s just because I’m getting old, I turn 50 on Sunday! • Greekfest: An event featuring live music and dancing, authentic food and pastries, Greek wine and craft brews. 4 to 10 p.m. Aug. 22; 11 a.m. to 10 p.m. Aug. 23; 11 a.m. to 4 p.m. Aug. 24. Holy Trinity Greek Orthodox Church, 3500 W. 106th St., Carmel. Info:greekfest.org. Cost: Free. New this year is a cafeteria-type line will be featured for one-stop shopping at all the food booths, and craft beers will be offered from Quaff On!, Oaken Barrel, and Sun King. • WarmFest: A four-day music festival. Varied hours, Aug. 29-Sept. 1. Broad Ripple Park, 1550 Broad Ripple Ave. Info: Warmfest.org. Tickets: Starting at $10 for a single-day pass. This year will feature tented spaces for private gatherings, stocked with coolers of bottled water and other amenities. • Zionsville Fall Festival: This festival kicks off with a carnival and includes a pet pavilion, beer garden with live music and a car show. Sept. 6-7, Lions Club Park, 115 S. Elm St., Zionsville. Info: zionsvillelions.com. Free. • Heartnut Festival: A festival named after Heartnut trees planted in Johnson County Park, Nineveh. Includes food, music and a historic encampment. 9 a.m. to 7 p.m.,Sept. 6; 11 a.m.-5 p.m. Sept. 7. Info: jocoparks.com, (812) 526-6809. Free. • Penrod Arts Fair: In its 48th year, Penrod features five entertainment stages, hundreds of artists and food and beverages. 9 a.m. to 5 p.m. Sept. 6, Indianapolis Museum of Art, 4000 Michigan Road. Info: penrod.org. Cost: $15 advance; $20 at the gate. • St. Joan of Arc French Market Festival: A festival of entertainment and food featuring beignets, quiche, Provencal chicken and other delicacies. Noon to 10 p.m. Sept. 6, St. Joan of Arc Church, 4217 Central Ave. Info: sjoa.org/frenchmarket. Free. • Back to the Fifties Festival: A community festival featuring a street dance, children’s activities and a car show. 6 to 10 p.m. Sept. 12; 9 a.m. to 4:30 p.m. Sept. 13, downtown Lebanon. Info: fifitiesfestival.com. Free. • Indy Irish Fest: A celebration of all things Irish including food and entertainment. 4:30 to 11 p.m. Sept. 12; 11:30 a.m. to 11 p.m. Sept. 13; 10:30 a.m. to 5 p.m. Sept. 14. Military Park, 601 W. New York St. Info: indyirishfest.com. Cost: Adults (advance) $10 per day (gate price) $15 per day; students (5-13) and military, $5 per day; children (4 and younger), free. • Festival of Machines: A festival celebrating the history of automobile manufacturing and sports. 10 a.m. to 5 p.m. Sept. 13-14, Conner Prairie Interactive History Park, 13400 Allisonville Road. Info: connerprairie.org. Admission: Free to members. Non-members: Adults, $15; seniors, $14; youth 2 to 12, $10. • Fair on the Square in Danville: An annual event sponsored by Tri Kappa Sorority featuring food and crafts.10 a.m. to 6 pm. Sept. 13; 10 a.m. to 4 p.m. Sept. 14, Courthouse Square. Info: danvilletrikappa.org. Free. • Jazz Festival: Three jazz bands and food come to Main Street, 2 to 9 p.m. Sept. 14, 12th and Main Streets, Speedway. Info: indyjazzfest.net. Free. • Plainfield Quaker Day Festival: A carnival to raise funds toward construction of a handicapped accessible playground. Sept. 19-21, 105 S. East St., Plainfield. Info:quakerdayfestival.weebly.com. Free. • Fiesta Indianapolis: A cultural event featuring arts and entertainment celebrating National Hispanic Heritage Month.Noon to 11 p.m. Sept. 20, American Legion Mall, 700 N. Pennsylvania St. Info: (317) 890-3292. Free. • Harvest Moon Festival: A carnival, classic car show and 5K run walk, 5 to 9 p.m. Sept. 18-20; 11 a.m. to 4 p.m. Sept. 21,Biddle Memorial Park, 610 E. 10th St, Sheridan. Info: sheridanharvestmoon.com. Free. • Speedway Spectacular: A chili cook off, pumpkin and face painting and hayrides are part of this event, 11:30 a.m. to 2 p.m. Sept. 20, Leonard Park, 1450 N. Lynhurst Drive, Speedway. Info: townofspeedway.org. Free. • CANvitational: A canned craft beer festival with music and food trucks. 1 to 5 p.m. Sept. 20, Georgia Street and Pan Am Plaza, Downtown. Info: canvitational.com. Cost: $60 in advance and $75 day of event. • Festival of the Turning Leaves: A street fair celebrating 40 years with a parade, food court and car show,noon to 10 p.m. Sept. 26; 8 a.m.-midnight Sept. 27; 8 a.m. to 5 p.m. Sept. 28. Main Street, Thorntown. Info: thorntownfestival.org. Free. • Brewfest: A 21-and-older event featuring beer sampling. 3 to 7 p.m. Sept. 27. Forest Park, 701 Cicero Road, Noblesville. Info: forestparkpool.org/Brewfest. Cost: $25 in advance (tickets can be purchased from Vintage Spirits, Runners Forum or Forest Park Pool), $30 at the door. • Carmel International Arts Festival, an event featuring more than 130 juried artists. 10 a.m. to 6 p.m. Sept. 27; 10 a.m. to 5 p.m. Sept. 28, Carmel Arts & Design District, at the corner of Main Street and Rangeline Road, Carmel. Info:carmelartsfestival.org. Free. • Beech Grove Fall Festival: A tradition featuring food, games, competitions and a parade. 6 to 11 p.m. Sept. 10-13, Main Street between Third Avenue and Eighth Avenue. Beech Grove. Info: bgpromoters.org. Free. • End of Summer Festival: A chance to end summer with canoeing, crafts, gaga ball, and horseback riding. 11 a.m. to 4 p.m. Sept. 14, Happy Hollow Camp, 3049 Happy Hallow Road, Nashville. Info: (317) 638-3849. Cost: $25 a person, ages four to 17, $10, three and younger, free. • Pioneer Fair: A re-creation of an 1822-1865 pioneer village.10 a.m. to 5 p.m. Sept. 20, noon to 4 p.m. Sept. 21, Shelby County Fairgrounds, 500 Frank St., Shelbyville. Info: (317) 392-4634. Cost: $3 at the gate, over age six. Free parking. • Stonycreek Farm Pumpkin Harvest Festival: A celebration of the season with hayrides to the pumpkin patch. 10 a.m. to 5 p.m. Sept. 27-Oct. 31, Stonycreek Farm Nursery & Landscaping, 11366 State Road 38 East Noblesville. Info:stonycreekfarm.net, (317) 773-3344. Cost: Parking $5. • Fishers Oktoberfest at Saxony: An art and music festival featuring German food and beer. Noon to 7 p.m. Sept. 27. Witten Park, 13578 E. 131st St. and Olio Road, Fishers. Info: fishersfreedomfetival.org. Free. • Fall Harvest Festival: Hayrides to the pumpkin patch and a petting zoo are part of this event. 9 a.m. to 7 p.m. Sept. 27-Oct. 31. Waterman’s Family Farm. Two locations: 7010 E. Raymond St. features straw mountain climb and maze; 1100 N. Ind. 37, Greenwood features a bounce house and activities for younger children. Info:watermansfamilyfarm.com. Free. • Holy Name Oktoberfest: The church’s main fund raising event with lively entertainment including the Flying Toasters and Polkaboy. 5 p.m. to midnight Oct. 3-4, Holy Name of Jesus Catholic Church, 89 N. 17th Ave., Beech Grove. Info:holyname.cc/parish/oktoberfest, (317) 784-5454. Free. • Scottish Highland Games and Festival: This event features nearly 50 amateur athletes competing in highland heavy athletic events including the caber toss. 9 a.m. to 9 p.m. Oct. 11, German Park, 8600 S. Meridian St. Info:indyscotgamesandfest.com. Cost: Adults (13 and up), $15, children (five to 12), $5. Family packages area available for $35 (two adults and up to three children five to 12 years). • Pumpkinfest at Country Market: Hayrides, farm animals, face painting and a moo train are part of this fun festival. 10 a.m. to 6 p.m. Saturdays, noon to 6 p.m. Sundays, every weekend in October. *To celebrate the 15th anniversary, the festival will also be open Sept. 27-28 and Nov. 1-2, 795 S. US Hwy 421, Zionsville. Info:thepumpkinfest.com, Cost: Adults, $10, ages three to 15, $9, under two, free. • Riley Festival: An annual event celebrating the birthplace of poet James Whitcomb Riley. 5 p.m. to 9 p.m. Oct. 2, 9 a.m. to 9 p.m. Oct. 3-4, 11 a.m. to 5 p.m. Oct. 5. Downtown Greenfield. Info: rileyfestival.com. Free. • Heartland Apple Festival at Beasley’s Orchard: Live entertainment, hayrides to the pumpkin patch and a kid’s zone are part of the event. 9 a.m. to 6 p.m. Oct. 4-5 and Oct. 11-12. 2304 East Main St., Danville. Info: (317) 745-4876. Cost: $5 per a carload. • Potter’s Bridge Fall Festival: An event celebrating the last original covered bridge in Hamilton County.11 a.m. to 3 p.m. Oct. 4, Potter’s Bridge Park, 19401 Allisonville, Rd., Noblesville. Info: (317) 770-4407. Free. • Franklin Fall Festival: A community festival with food, crafts and free concerts. 6 to 10 p.m. Oct. 3, 9 a.m. to 10 p.m. Oct. 4, downtown Franklin. Info: franklinparks.org. Free. • Fishers Renaissance Faire: Celebrating its 10th anniversary, this faire is all about Medieval merriment. 10 a.m. to 6 p.m. Oct. 4-5, 13578 E. 131st St. Fishers. Info: Cost: Ages 13 and up, $12, ages five to 12, $5, four and under, free. Info:fishersrenfaire.com. • Fall Foliage Festival: A festival featuring a carnival, quilt show, car show, artisan market and Mayor’s breakfast, 9 a.m. to 10 p.m. Oct. 9, 6 a.m. to 9 p.m. Oct. 10, 8:30 a.m. to 10 p.m. Oct. 11, 9 a.m. to 9:30 p.m. Oct. 12, 7:30 a.m. to 1:30 p.m. Oct. 13. Parade at 1 p.m., Oct. 12. Downtown Square, Martinsville. Info:morgancountyfallfoliagefestival.com. Free. • Headless Horseman: A seasonal event when the grounds are transformed to “Conner Scairie.” 6 to 9 p.m. Oct. 10-12, Oct. 16-19, Oct. 23-26, Conner Prairie, 13400 Allisonville Road, Fishers. Info: connerprairie.org. Cost: Thursdays and Sundays – $10 presale, $12 at the gate, free to members. Friday and Saturday $14 pre-sale, $16 at the gate. Pre-sale tickets are available at Mainstreet Marsh and O’Malia’s locations. • Traders Point Creamery Oktoberfest: The grounds and barns come alive with seasonal food and entertainment, noon to 7 p.m.Oct. 11, Traders Point Creamery, 9101 Moore Road, Zionsville. Info: (317) 733-1700. Cost: $8 pre-sale attraderspointcreamery.com and $10 at the gate. Children under 10 are free. • Germanfest: A family-friendly event celebrating all things German. noon to 8 p.m. Oct. 11, Atheneum Ratskeller Biergarten, 401 E. Michigan St. Info:athenaeumfoundation.org. Cost; Adutls $8 in Advance, $10 at the door; children 1-12, $2. This year The Athenaeum is partnering with the Pickled Peddler, beer bikes. Discounts will be offered to festival participants. So which ones will you visit? We have a new DOWNTOWN Indy! Well, at least a new name. What used to be IDI – Indy Downtown, Inc. has become Downtown Indy. Due to all the new residential and commercial building going on, they needed an update too. The new brand has a refreshed logo, tone and new colors. I try to keep up on what’s happening since I work downtown. My building overlooks the Circle and there’s always something going on and my co-workers are sure to ask me – “so, what’s the crowd on the Circle doing?”. I usually go to the Indydt website to check out the day’s activities. I pick up current editions of Nuvo and UP Downtown too. Just keeping up with the ever changing restaurant scene is almost a full-time job. We tried the new Labor District Café recently and was very pleased: good food & service at a reasonable price. We’re headed to the Bangkok Thai Restaurant on Friday to check it out. Reminder: Devour Downtown is happening through Aug. 31. It’s an easy on your budget way to try something new or re-visit an old favorite. I like to know what conventions are in town so I’ll know who’s parking in “my” garage; go to the Indiana Convention Center site for all the details. Who knew there was Tibetan Cultural Event or National Association of Broadcasters meeting? Pajama pants are not pants! It’s not just the “People of Wal-Mart“, it seems to be the world…pajama pants are not pants…DO NOT WEAR THEM IN PUBLIC! I miss Stacy London and Clinton Kelly and their weekly wisdom of “What Not To Wear“! Have you done it? Gone to the store in your jammies? Maybe you just needed milk for your morning cereal or you really like how your pajamas feel and believe you look like Hugh Hefner…but deep inside – in the place that determines the difference between right and wrong — you know it’s just not appropriate. Are we, as a culture, on a downward spiral of style? Do we in the midwest simply not care how we look? So what changed? Do we no longer face the same social pressures they would have centuries ago, or even a couple decades ago. That social pressure, the unwritten rules about how someone should or should not dress, has always existed. How we look is a signal and communicates how we feel…when we know when we see an appropriate outfit and when something doesn’t look quite right…we notice that too! It’s called a social norm and the norms around fashion incorporate the function of clothing as well as cultural attitudes. That boundary of what you wear around your home to what you wear in public is strongly influenced by what we see celebrities, one photo of a celeb wearing something inappropriate validates many people and they leave home wearing the same thing…whether it’s appropriate or not! I’m very careful about how I dress outside my home…you might find me running around in shorts/sweats and a t-shirt at home, no make-up, hair messy…but I simply don’t leave the house like that…and friends…always call before you decide to stop by! For the first time in 67 years, alcohol is being served at the Indiana State Fair…in an exhibit hall behind the fried food and lemonade stands and across from the Coliseum, the new Indiana Beer and Wine Exhibition at the Indiana State Fair isn’t the spectacle of stumbling drunks opponents expected. There are strict drink limits, those who wish to partake purchase wristbands with three detachable drink vouchers to spend as they please. The choices are simple, a drink consists of a 12-ounce glass of beer, a 5-ounce glass of wine or four smaller samples of beer or wine for those who want to try a variety. The exhibit is a showcase of Indiana’s local breweries and wineries. The offerings change from day to day, as Indiana breweries and wineries take alternating turns in the spotlight and the exhibit is geared toward a casual audience…sweeter wines and crowd-pleasing brews geared toward those who have never tried a craft beer. Most are giving the exhibit rave reviews, the only negative I’ve heard is that there isn’t enough seating! The state’s reluctance to serve alcohol may have been a blessing in disguise, the key to lifting the ban was that the product’s would all be from local, Indiana based wineries and breweries…no international brands allowed. This is supposed to be an exhibit, apparently the “exhibit” leaves something to be desired on education, some servers offer in-depth explanations of their offerings; others don’t. There is a trough of hops in the entry and a teaser to a Prohibition exhibit at the Indiana State Museum but little else on display. What do you think? The Indiana State Fair is supposed to be about Indiana and with the increasing numbers of wineries and breweries, I think it’s a brilliant way to showcase these tax paying employers and hopefully increase their business which can only improve the economy over time. Would love to hear from you! So you think you know what I do? Great article about my chosen career and what it’s really like! We’ve all heard these questions or statements at one time or another, so I decided to answer them in an easy-to-digest list you can forward to all your associates and misinformed friends. Whether buying, selling, leasing, or looking, many clients or prospective clients have offered at least one of these statements to us, and we’ve all done our best to suppress a vigorous eye-roll. 1) You’ll get a better deal if you buy directly from the listing agent. Not true. In the majority of contracts, the seller has agreed to pay a set commission beforehand. 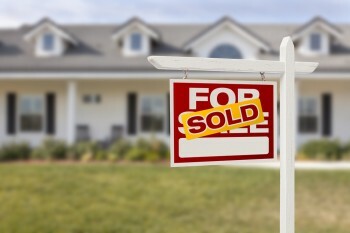 If the buyer has their own agent, the commission is split between the listing agent and buyer’s agent. It makes little difference to the seller either way. In fact, it will likely help you, as a buyer, to have your own representative during negotiations. 2) Agents are paid the entire commission. Definitely not. For most agents, they are splitting the commission with their broker. It can be as low as 50/50. 3) Agents get paid to drive clients around or show property. Not so. We only make money when a transaction is closed and funded. 4) If you’re not being offered as much as you want for your home, your agent just isn’t working hard enough. Not really. An overpriced home just doesn’t sell. Also, unless it is a cash sale, your home will have to appraise. The appraisal will be based off comparable sales of similar homes in your area that have recently sold. Your agent has no control over this. Just because your neighbor is asking $50,000 more for his home still doesn’t mean that is what it’s worth, or what he’ll actually get for it when it eventually sells. A home that doesn’t appraise will not be financable. Also, an outdated home is not worth as much as an updated one. 5) All Realtors are rich. While real estate can be a big money maker, it’s also true that 20 percent of the agents do 80 percent of the business. It may seem like an agent makes a lot of money at once on a transaction, but real estate is a very expensive business to be in. Namely, yearly and monthly dues and fees to national and state associations, local MLS, local showing service, and your broker. Plus, the agents pay for gas, signs, advertising, key boxes, websites, professional photography, health insurance, etc. Pretty much anything real estate related comes out of the agent’s pocket. Most are lucky to walk away with 1 percent of a transaction. Not all Realtors have huge billboards and fancy cars! 6) Realtors are just trying to make a sale, and will lie or stretch the truth to do so. Again, definitely not. Not only are there legal liabilities, a realtor’s business is based off referrals. They’d rather have you refer three friends than tell three friends about your bad experience. 7) An agent can only show his or her own listings, or those of their sponsoring broker. Not true. A buyer’s agent can show any listing on the market. The agent makes no more money from their client buying a listing from their personal broker or someone else. That said, the agent will make “both sides” of the commission if they sell their own listing to one of their buyers. In Texas, this causes an agent to go into “Intermediary Status,” meaning they are no longer advising either client, as opposed to double agency where the agent is actually advising both sides. Real Estate is VERY hard. It is constant marketing, prospecting, and handling complex transactions. It can be a lot of time and effort with no guaranteed return. Agents are trying to make a living like everyone else. It can be extremely stressful. It’s very rewarding to find someone the right property, but until the transaction closes, it’s pretty high stress for the agent as well as the client. It’s rarely part time. Agents are constantly answering calls, emails and texts. Nights, weekends and holidays included. And it’s not easy either. Agents work with people on the biggest financial transactions of their lives. It’s emotional and complicated. Not just anyone can be an agent. An agent has to be a special person that is knowledgable, helpful, and very think skinned. We deal with emotional people, rude people and time wasters every day. We have to stay up to date with mandatory continued education classes and be great negotiators. 9) You do not need to talk to a lender until you have found a home to buy. It is better to have financing worked out before you even start to look. If you do find a home you’d like to purchase, you’ll need a preapproval letter to place an offer. If your potential new home is in a popular area, it may get several offers on the first day. If you’re not preapproved, you could miss out. Plus, you want to know the amount you’ll qualify for, and not be looking at homes outside of your budget or possibly be able to afford more home than you originally thought. 10) Driving a fancy car or having a bunch of “million dollar listings” is a directly related to how good an agent is. Not necessarily. Some agents have huge, very visible businesses. Some do not. There are plenty of great agents that provide wonderful, personalized service that do not have a billboard or magazine cover. Find an agent that you get along with, who understands your needs. Want to talk about my business and what I do…call text or email me!